I apologize for the delay in getting this posted. August turned out to be exceedingly hot and I wasn’t able to get out and work on the house as much as I would have liked. I also found out I’m entitled to some veterans benefits so I went ahead and took the GRE in case I want to go back to school. Then I it turned out I needed to relocate the tiny house as the person managing the site wanted to use it for another project. I’ll post about that later. 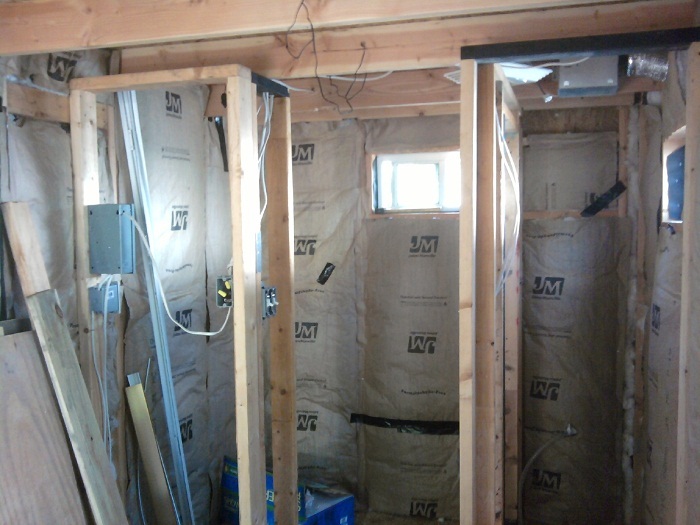 For now, here are some shots of the insulation. The only crazy thing about insulation is the size. The 16″ OC standard is a throwback from old English brick building and doesn’t improve the structural integrity of a wood frame house over 24″ OC. It makes sense to build 24″ OC then. The only thing with that is that batt insulation (the fluffy stuff), is manufactured for 2×6 framing if you do 24″. If you use 2×4 framing as I did, they only make it in 16″ OC spacing. At least that’s what I found at Lowe’s and I didn’t want to custom order supplies if I could help it. 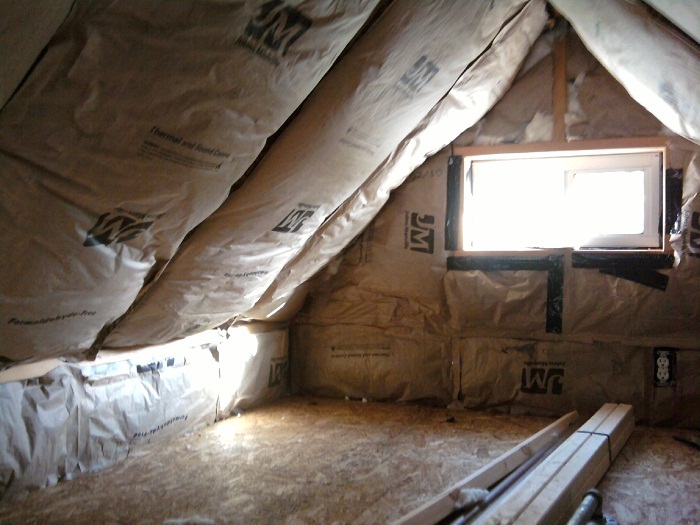 The short of it is that the 2×6 insulation is thicker and has a higher R value. Of course it looses a little R value by being compressed into 2×4 framing but I felt that was a better solution than trying to cut 8′ sections to fit a wider spacing. The ceiling is 2×6 though so everything fits as it should. This entry was posted in Building Techniques, Supplies and tagged insulation. Bookmark the permalink.